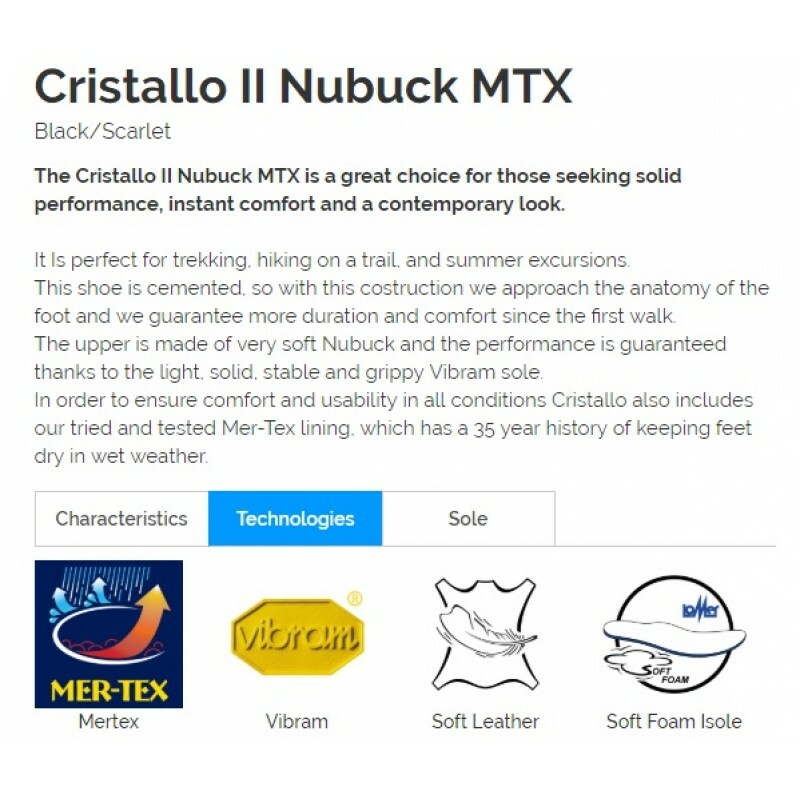 The Cristallo II Nubuck MTX is a great choice for those seeking solid performance, instant comfort and a contemporary look. It Is perfect for trekking, hiking on a trail, and summer excursions. 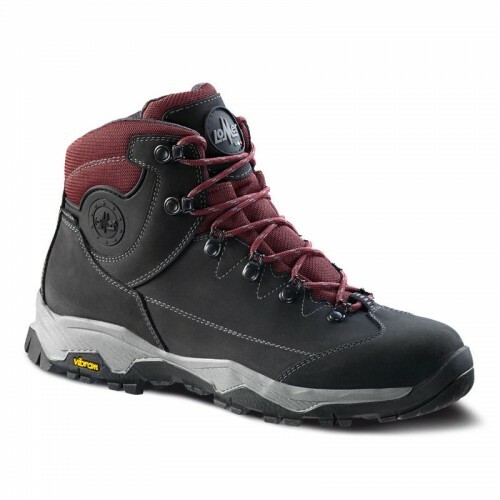 This shoe is cemented, so with this costruction we approach the anatomy of the foot and we guarantee more duration and comfort since the first walk. The upper is made of very soft Nubuck and the performance is guaranteed thanks to the light, solid, stable and grippy Vibram sole. In order to ensure comfort and usability in all conditions Cristallo also includes our tried and tested Mer-Tex lining, which has a 35 year history of keeping feet dry in wet weather.